The Bank Club at 17 Fremont St. is shown in Fuller's Index Plus gaming records as being open for gaming from 1938 to 1945 and being licensed for slots and 21. 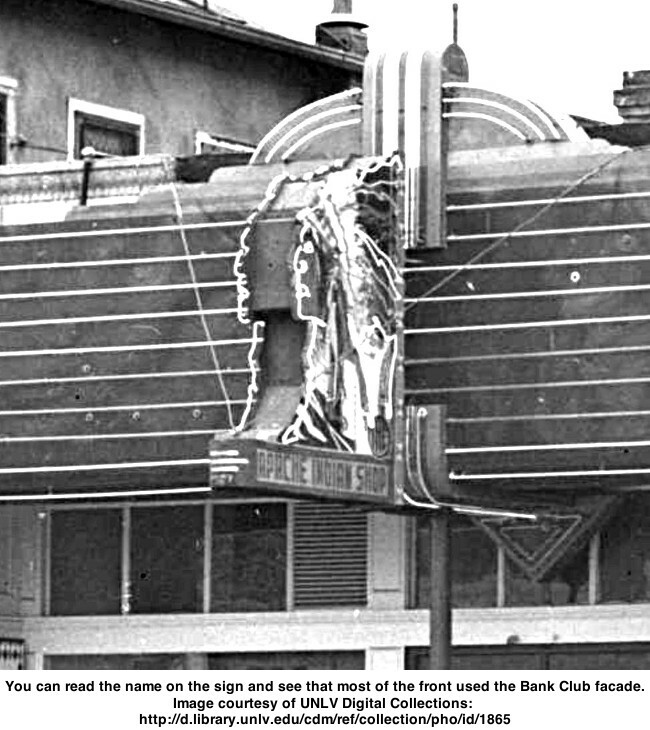 The dates given for the Bank Club operation vary and there were two locations. I don't know if this was the same “Bank Club” in two locations or it was just a popular name. The Bank Club is only listed in the 1937-1938 business directory with phone #516. In 1941 that phone number appears to have vanished and by 1943 the phone number was in the name of Dr. M. Ackerman at 706 W. Bonanza. 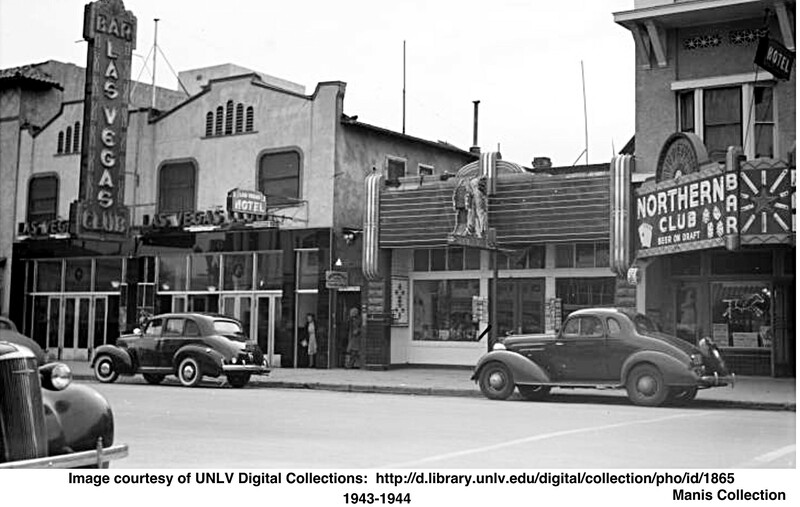 The photo of the Bank Club and the Northern Club above is from The Stocker Collection at UNLV and is dated January 1932. That date seems inaccurate because at that time the Las Vegas Cafe was at 17 Fremont. The Las Vegas Cafe is listed in the phonebooks and directories at 17 Fremont from 1926 through 1934. The Bank Club photo above shows snow on the ground. 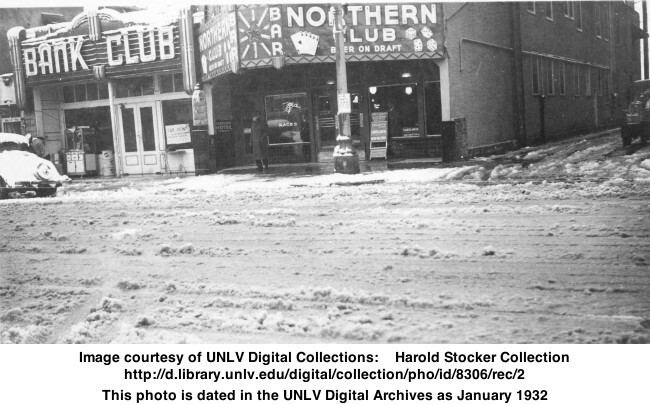 Which winters in the 1930's did Las Vegas have enough snow to show up on a photo? Las Vegas Club at 21-23 Fremont on the left with the Northern Club at 15 to the right. In the middle is the Bank Club location at 17 Fremont which has been remodeled with a neon Indian motiff for the Apache Indian Curio Shop. I have only found one listing for Apache Indian Shop in 1943-1944. 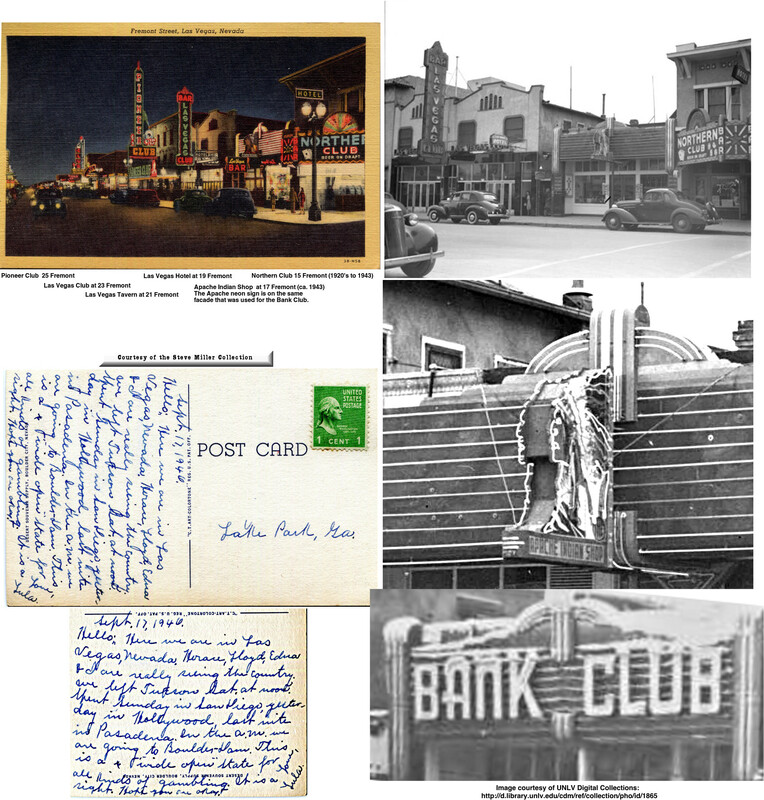 This very rare postcard below looks much like many early Fremont Street Postcards. However, Steve Miller caught the one small difference. The very short lived Apache Indian Shop shows up in it! Thanks for sharing this great find Steve! The date code on the postcard is 1943. There's no postmark but the sender wrote the date in the message Sept. 17, 1946.